You can always count on a working makeup artist to create an innovative, useful product that makes life easier! 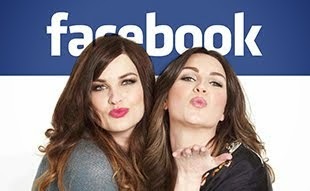 Donna May Clitheroe has 20 years of experience working in the makeup industry and has worked on shows such as Strictly come dancing and Loose Women in th UK. 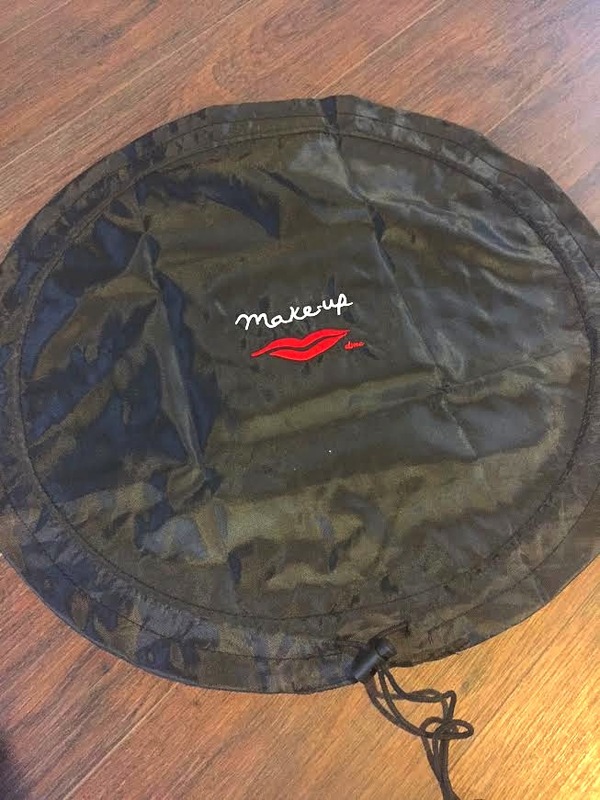 Donna May has created a line of make tools, which include a makeup bag, gown and mats. 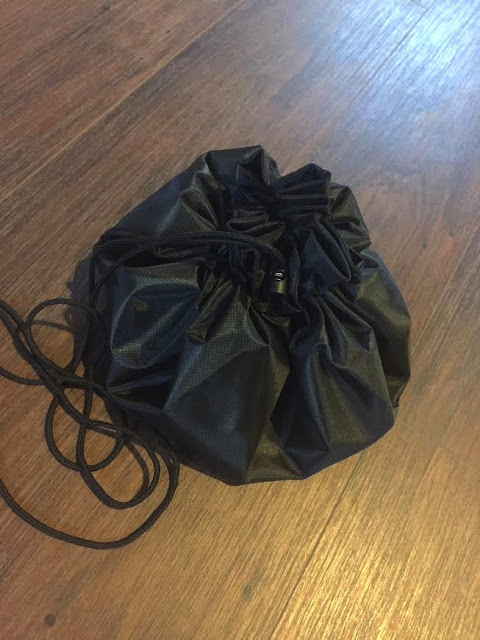 The makeup bag is literally the most genius bag I have seen for a while, yet such a simple idea. It’s basically a large flat circle made from Oxford Pu fabric (wipe clean) and has a chord threaded around the edge attached to a toggle. You can place all of your makeup onto it as you are using it and then once you are finished simply pull the toggle and it will fold up into a neat bag. 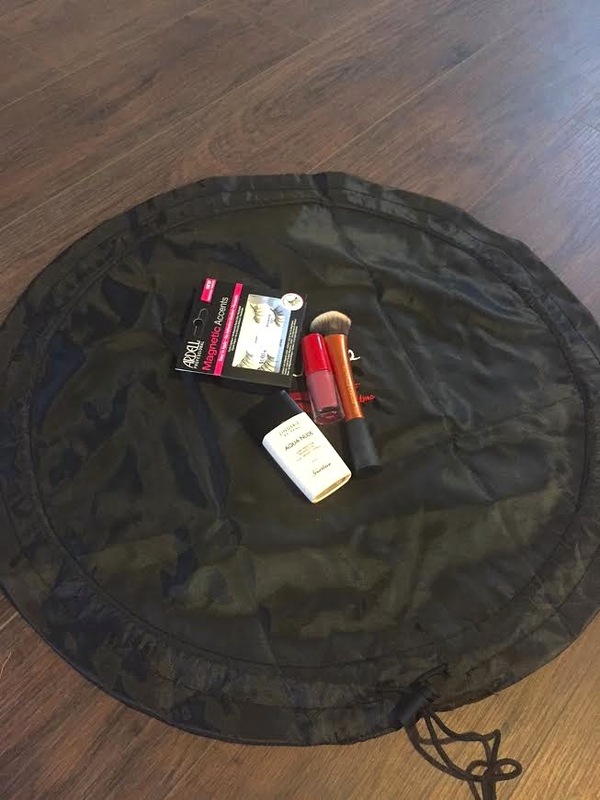 Great for times when you have spread your makeup on your bed whilst you are getting ready and need to move all you products when you arrive home and want to fall into bed. Also great for makeup artists to quickly move products between clients to ensure your work space is clear and also a godsend at the end of a long day shooting when all you want to do is quickly pack up and head home. Pull the toggle to securely wrap everything up, pop it in your bag and off you go! You can check out all of Donna May’s products and also find out more about her via her website here. 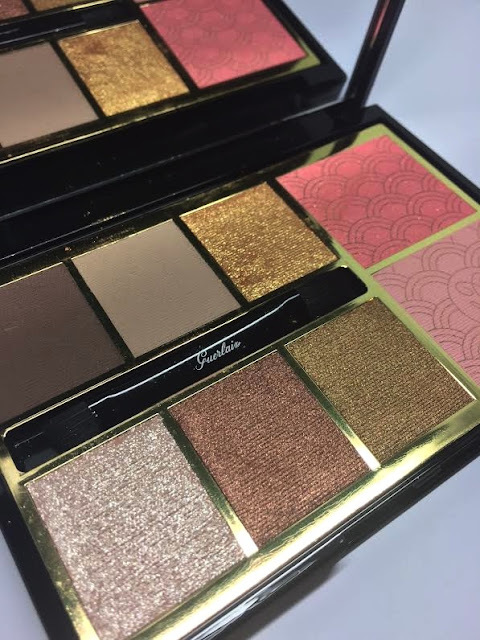 If you’re seeking a warm toned shimmering eye palette that also has blush and brow product within then be sure to check out the Guerlain Palette Gold. 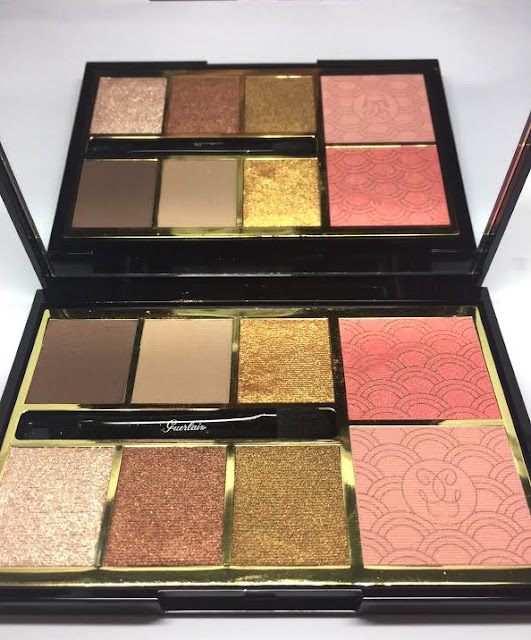 Guerlain is literally the queen of golden radiance (check out their L’or Radiance base and Parure Gold Foundation combination for radiant candlelit skin). The Christmas palette for 2017 combines a bone shade matte eye shadow for placement under the brow or wherever you need a little natural highlight and 4 shimmering powder shadows in gold, silver, copper and bronze. The eye shadows have excellent pigment quality and blend well with little glitter spread. They look beautiful worn as a block on their own but work well as a touch of highlight on top of a matte to liven it up for Christmas. 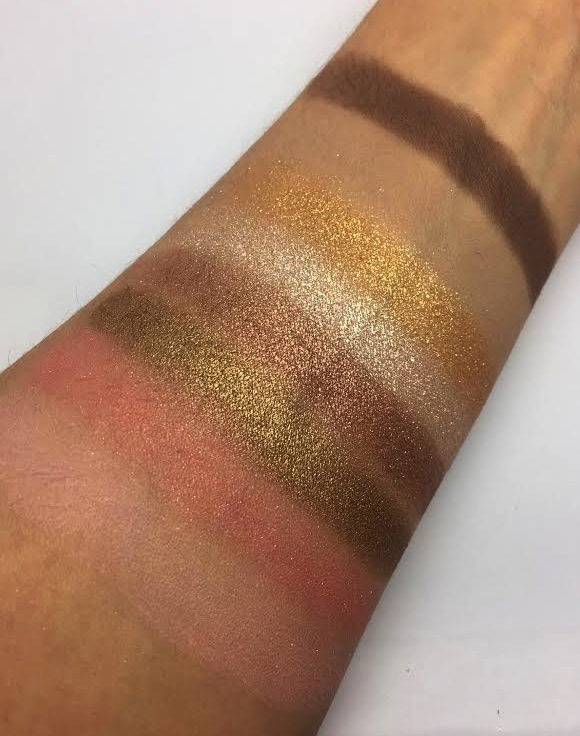 These tones look sensational on a deeper skin tone and will make the eye lid shimmer like molten metal. The powders can be used wet or dry depending on the intensity you require. 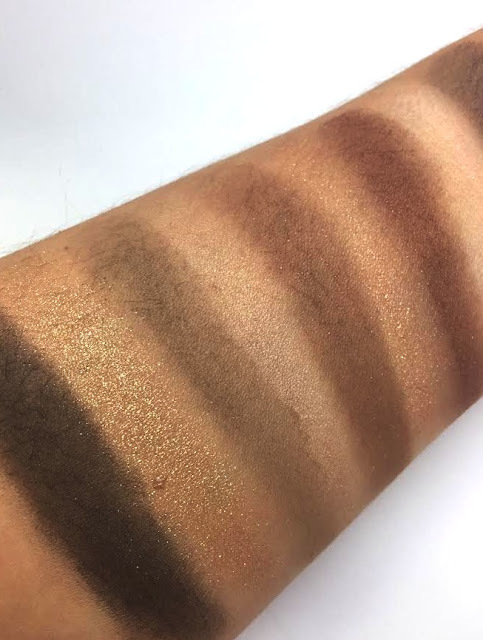 There is also a matte brown for the brows although this is on the warmer side of brown so would only really work on dark brunettes or red heads. The two blushers are a baby pink and a candy pink. 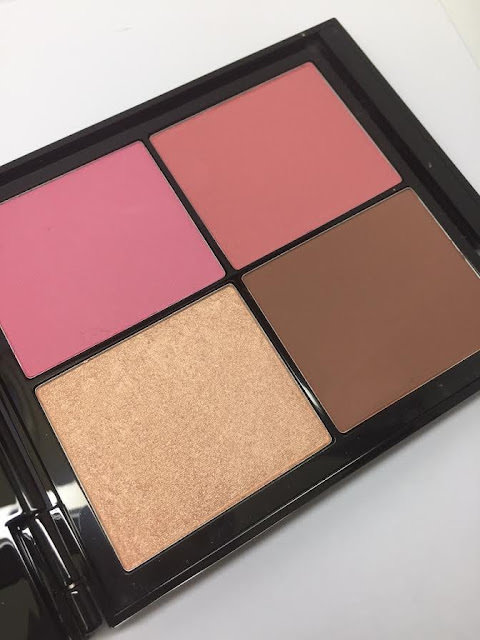 The lighter pink works nicely as a very natural blush on lighter skins or as a highlighter on a deeper skin tone. The brighter pink is infused with a golden glitter so save that one for the evening and use in minimal quantities! 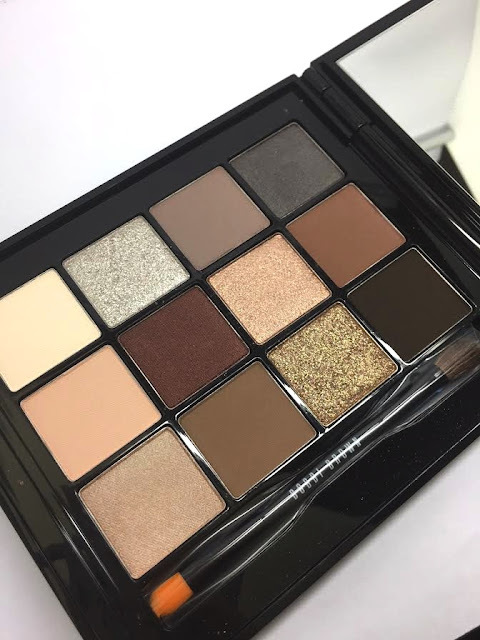 Palette contains large mirror in the lid and a small duel ended eye and brow brush. This palette is great for changing up a day to evening look or to use as a palette, which adds in a festive pop to any make up look. We love a bargain and if you’re quick then you will be able to get hold of this Smashbox master class palette from Smashbox for half price! 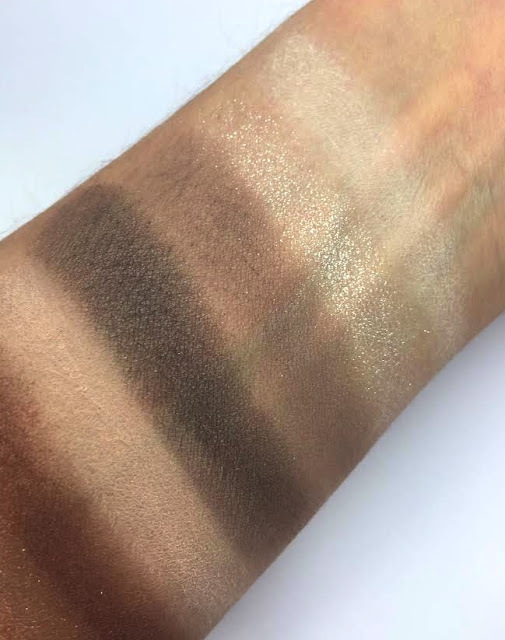 10 powder eye shadows in a mix of matte, shimmer and metallic finish. 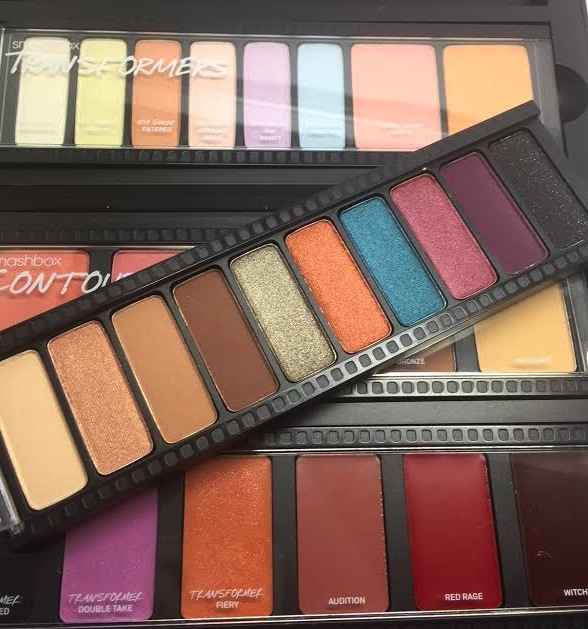 Pigment is intense, colour options are interesting and the selection of warm and cool tones mean you can create some sultry smoky eyes or a vibrant contrasting colour pop. 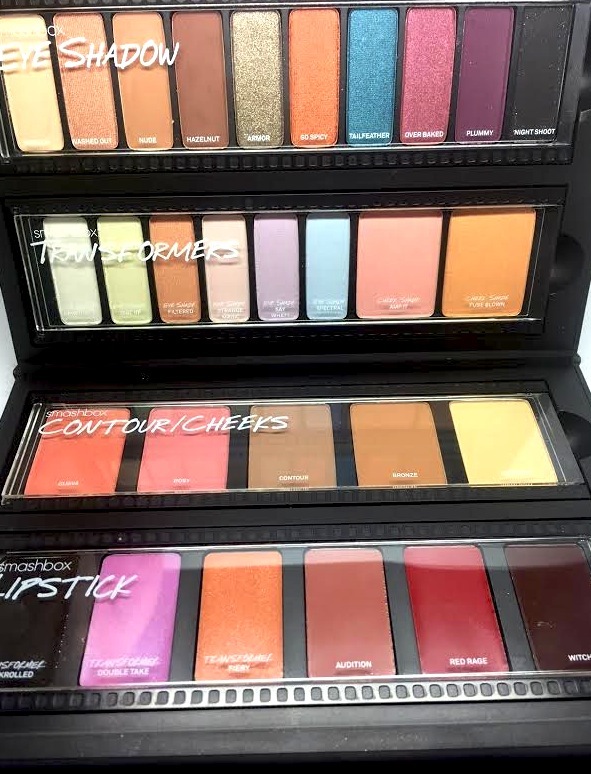 There are 6 transformer colours in an array of pastels to lift the natural tones of the eyelid and brighten of to add in an extreme highlight. 4 satin finish blush shades a matte bronze and a natural satin cream toned highlighter. The 3 lipstick shades are bold deep shades but can be mixed up with the 3 cream transformer shades to alter the tone. This palette folds up into a chunky book and can be easily transported. 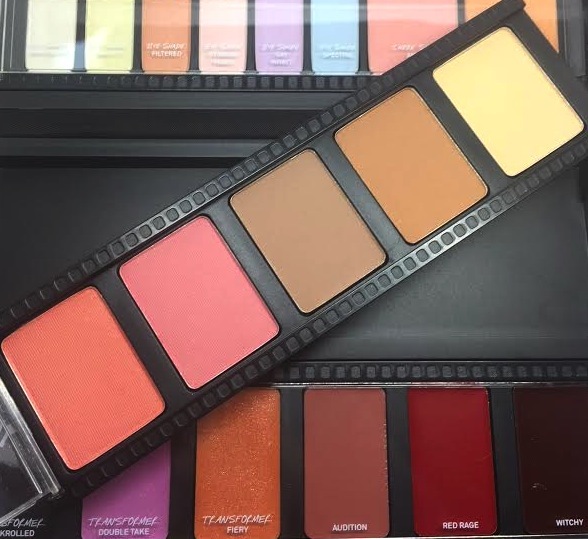 It’s a great gift for budding or seasoned makeup artists or just for those who like to experiment and prefer something a little more customed to themselves rather than following the crowd. 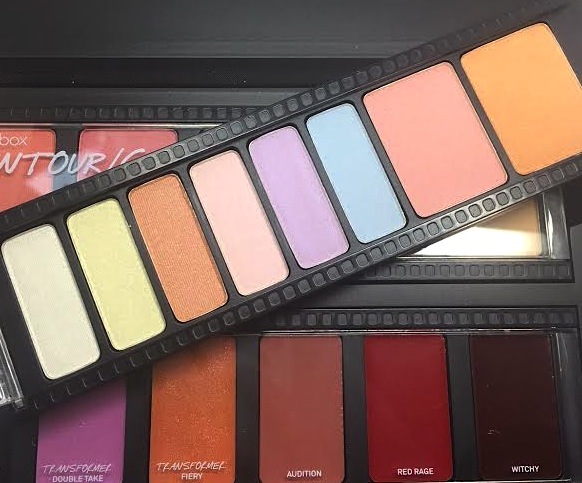 This palette was £70.00 but is currently half price for £35.00 however; it’s only available for a few more days and is limited edition so you need to work fast if you think it will make the perfect gift. Exclusive to Boots and available here. 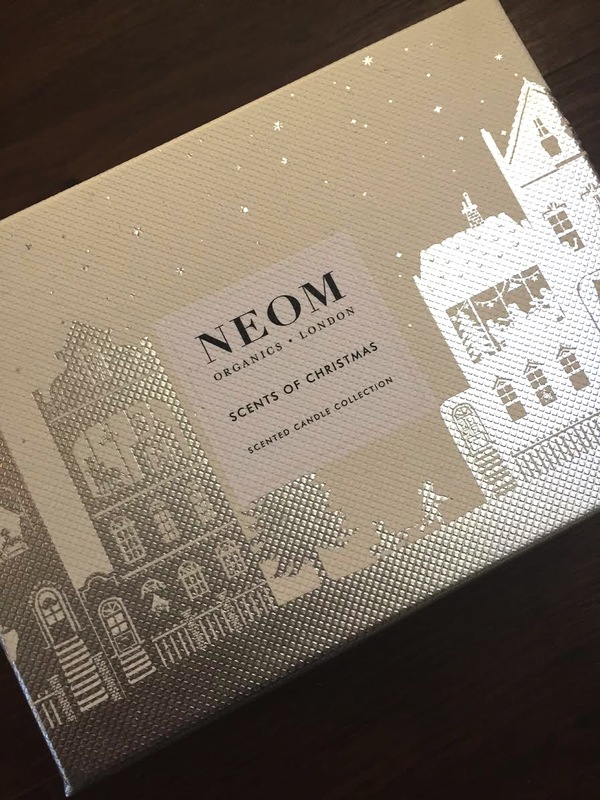 Oh Neom, you’ve done it again. Beautifully presented and a-ma-zing scent all within a glass, patterned in a nostalgic print. Their candles really are the scent of our Christmas every year. 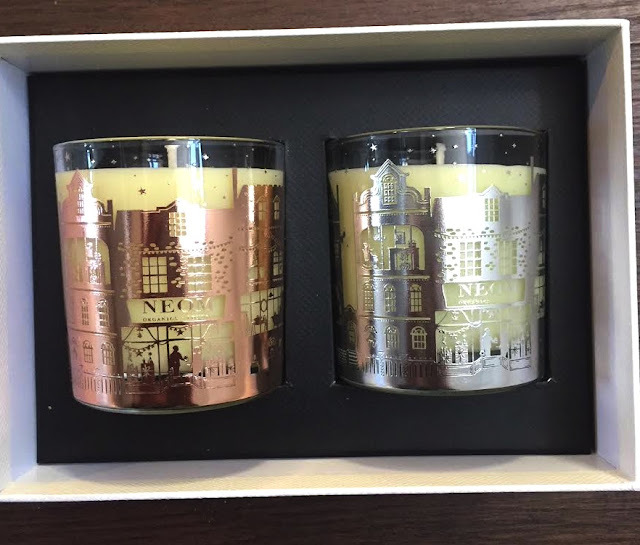 There are lots of festive candle options from Neom this year and we have hold of the scents of Christmas twin set. As soon as you open the box, you are greeted with an overwhelming (not overpowering, scent of Mandarin, cinnamon and pine. The Christmas Wish candle is embellished in rose gold and scented with 11 essential oils, Tonka Bean, Mandarin. It has an almost leathery scent that warms but uplifts. This is either your bath time candle or your living room candle on a cold December night. It’s like a warm jumper for the soul. 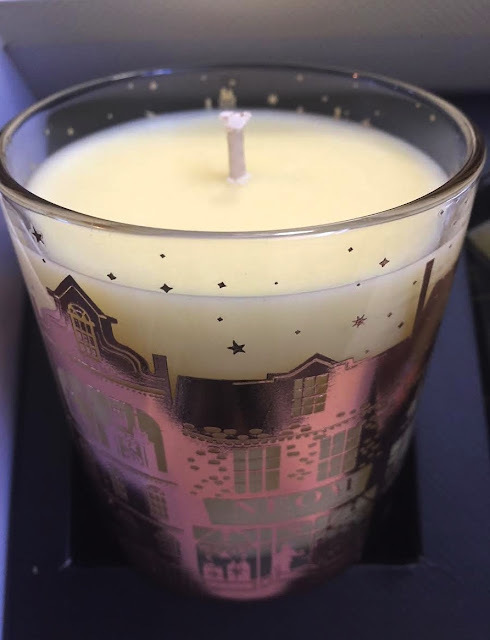 The Perfect Peace candle is embellished in silver and scented with 22 essential oils, myrrh, pine and lime peel. It’s much more citrus based and fresher. Because it smells lighter I would say this would be nicely positioned in an entrance hallway or kitchen whilst you cook up a batch of sausage rolls!! This duo is £49.00 and available here. 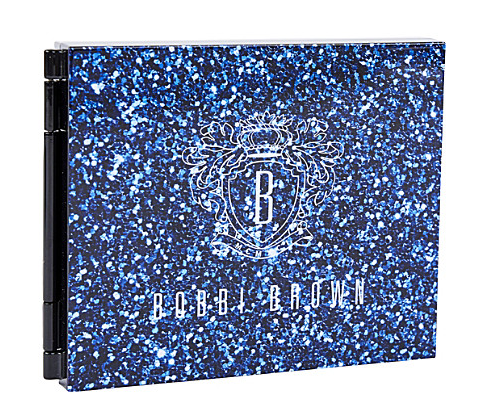 Exclusively to Selfridges is the Sparkle all night palette from Bobbi Brown. 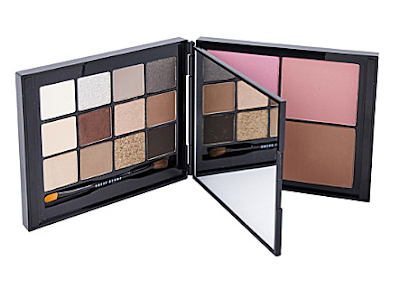 It’s a book style palette housing 12 powder eye shadows in a mix of matte and shimmering shades and four cheek colours. The colours are pretty tame and are a muted blend of beige, greys and plums. Pigment payoff is okay, it takes a little work to build them but once applied, they do blend out nicely with zero fall down. The very darkest shades required a lot of applying and re blending to get an even finish, initially they apply a little patchy. The centre leaf is a huge mirror and the back leaf is two blusher shades and a highlighter and bronzer. 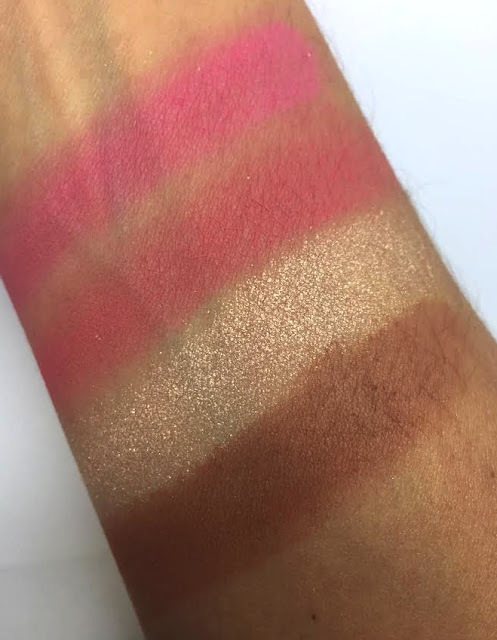 Really great pigment from these but I think it would have been nice to include a blusher a pink and an alternative shade, rather than two pinks. 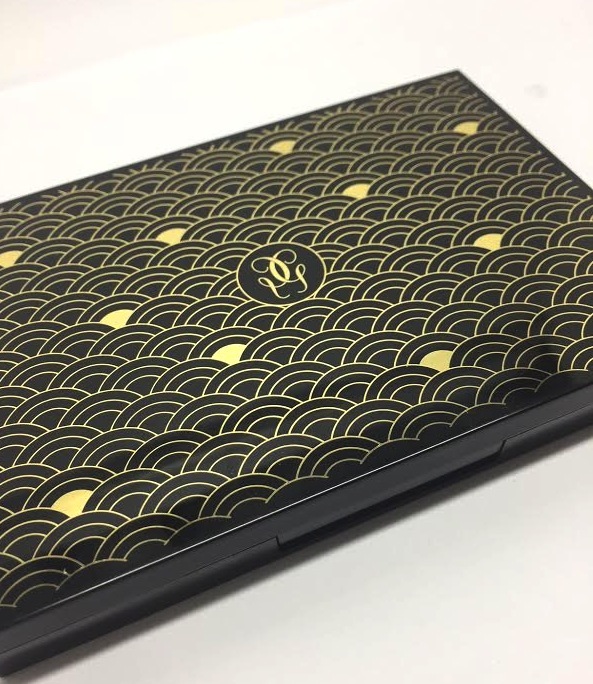 Travel sized compact that would fit into an overnight travel bag or handbag with ease. 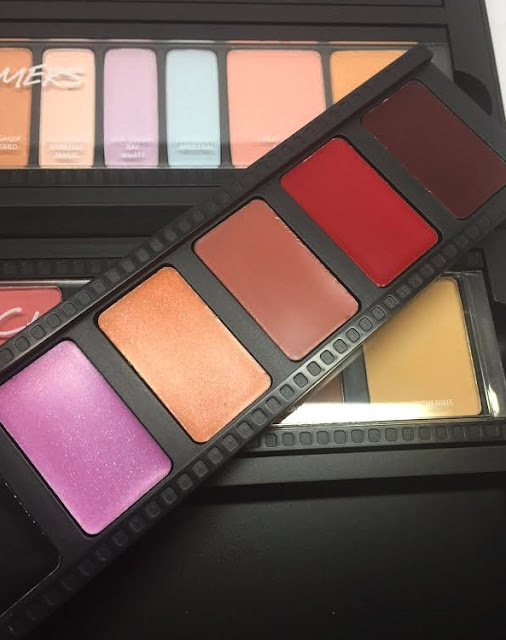 This palette is £150.00 and available exclusively at Selfridges here.